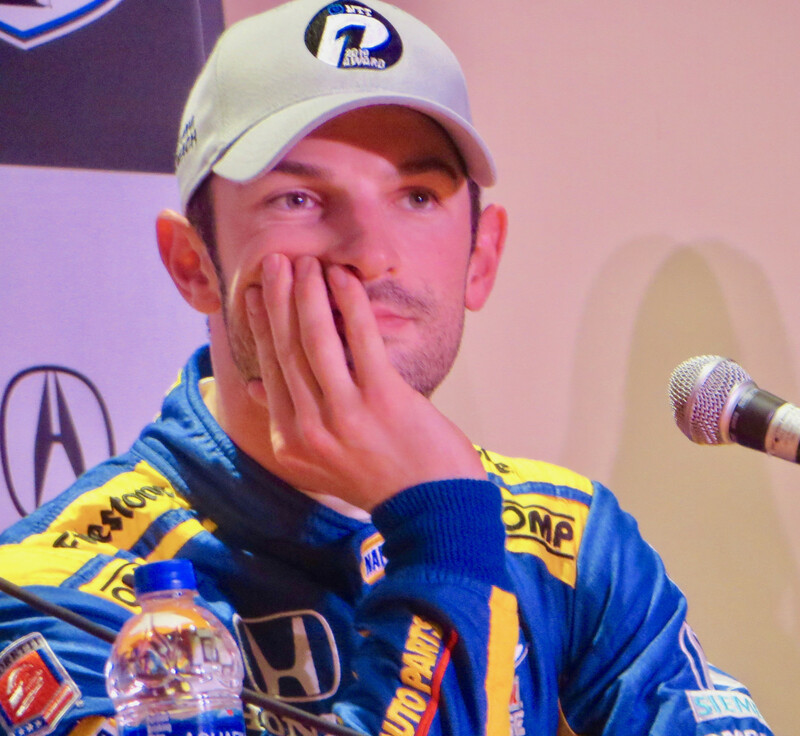 Rossi nosed by Scott Dixon/No.9 PNC Bank Chip Ganassi Racing Honda who was looking to be on pole. 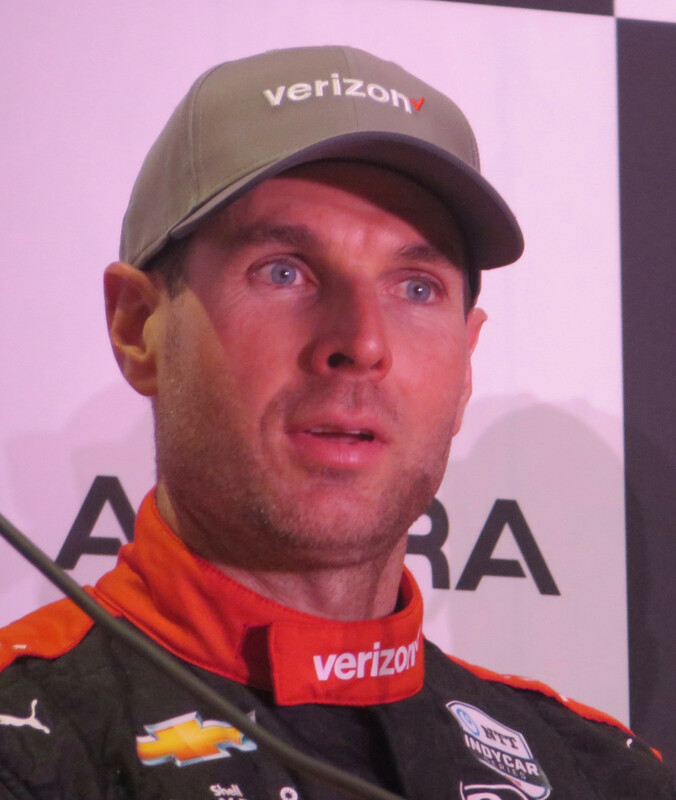 While the top four of the Firestone Fast Six ran in the 1:06’s, the 2017 record of 106.2254/106.980 mph set by Helio Castroneves still holds. 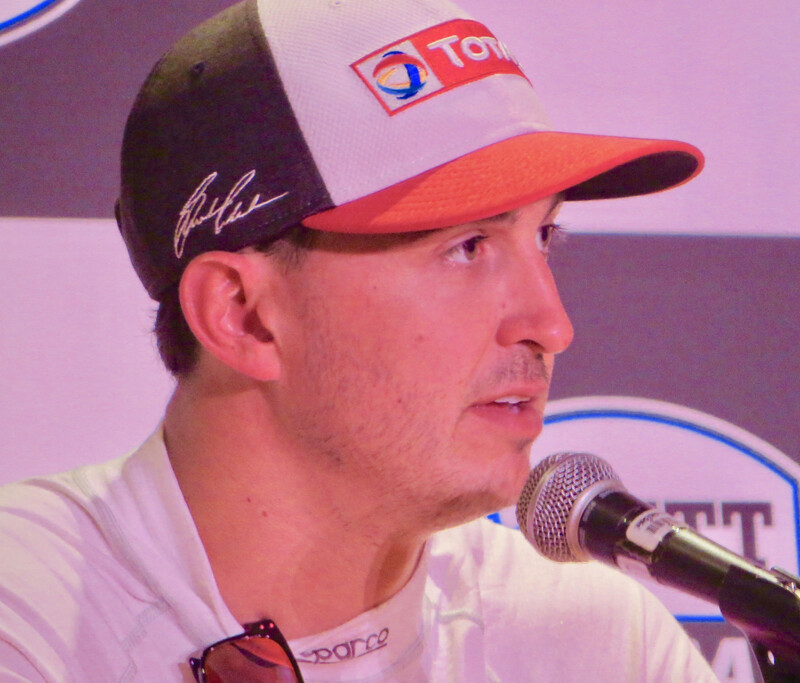 The top six qualifiers are: Rossi; Dixon; the three Team Penske Chevrolets of Will Power/No.12 Verizon, Josef Newgarden/No.2 Hitachi, and Simon Pagenaud/No.22 DXC Technology; and Graham Rahal/No.15 Total Rahal Letterman Lanigan Racing Honda. So it’s three Hondas and three Chevrolets on top. They all went out on the Red/Optional Firestone tires. Rossi ran two sets of reds in the Firestone Fast Six. 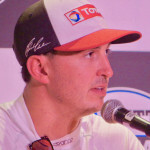 In the Fast Six Presser, the drivers were all in such good moods and joking among themselves that it was questioned. Such camaraderie is not prevalent in other top tier series. They all seemed surprised by the question. “Of course we’re happy. 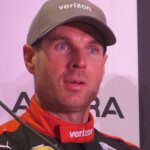 We made the Firestone Fast Six.” It’s become a trite, but true, opinion that the IndyCar Series is such a competitive series with so many top drivers, that with such tight racing, any number of drivers could win – unlike F1 for example. 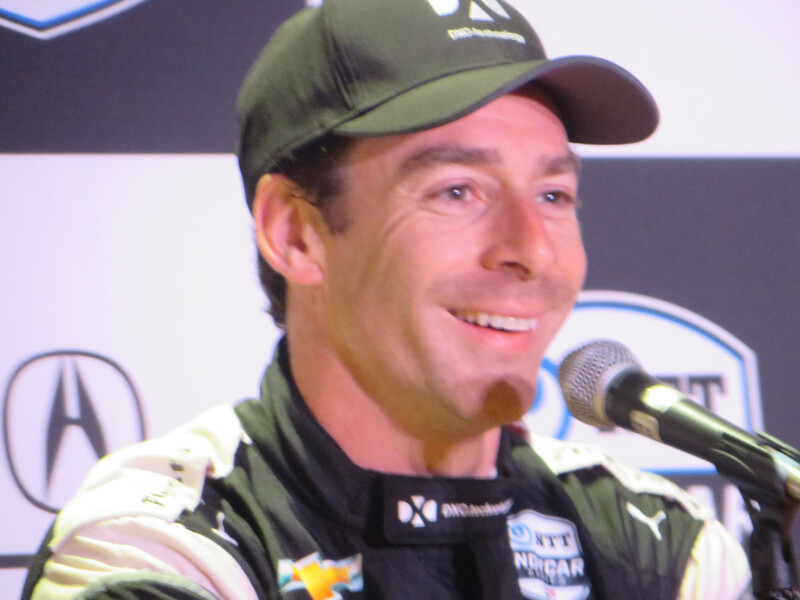 So when drivers make the Fast Six, they are happy. 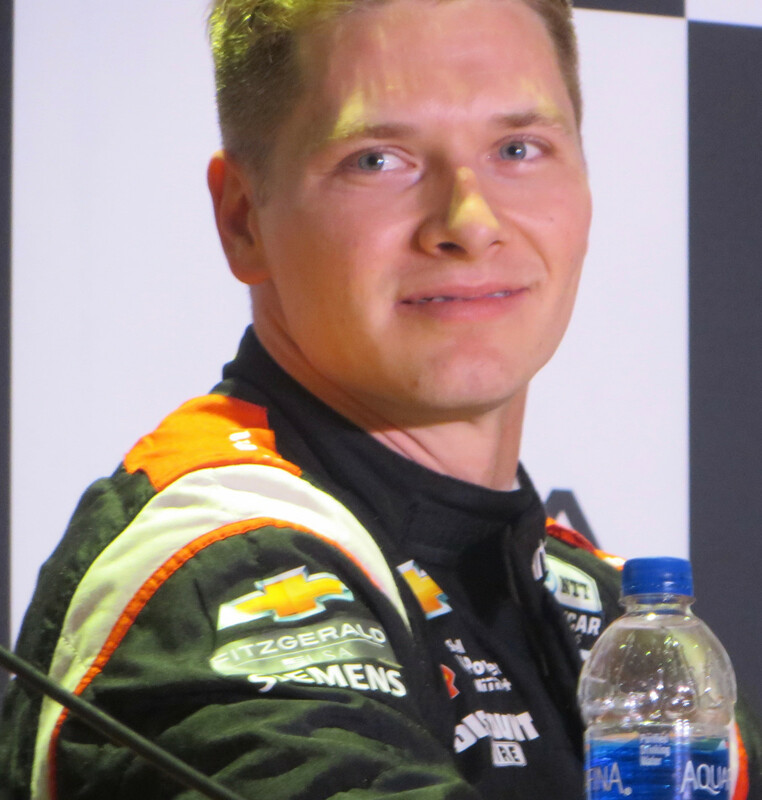 The fastest Rookie was Patricio O’Ward/No.31 Carlin Racing Chevrolet, in ninth position. He made it to Segment Two, where he was in early on and then was bumped. There were two Red Flags in qualifying, both for drivers hitting a wall. 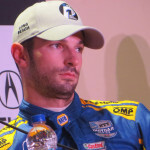 The first one was for Tony Kanaan/No.14 ABC Supply AJ Foyt Racing Chevrolet, in the first Segment, in Turn 6, and the second was Rookie Felix Rosenqvist/No.10 NTT DATA Chip Ganassi Racing Honda in the second Segment. Each lost their two fastest laps as penalty. 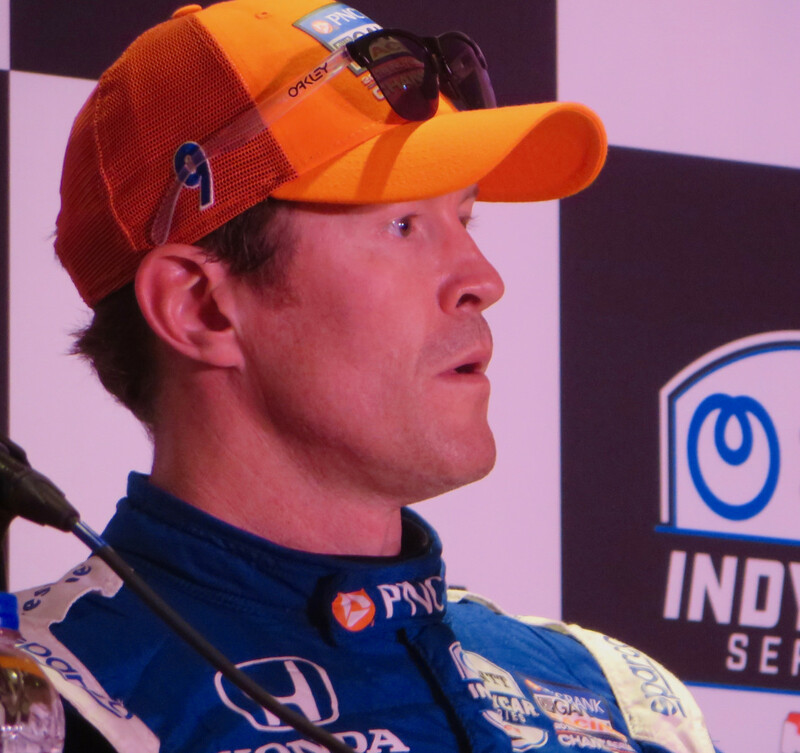 Both drivers admitted it was their fault, apologized, and are working to make up for it in tomorrow’s race. 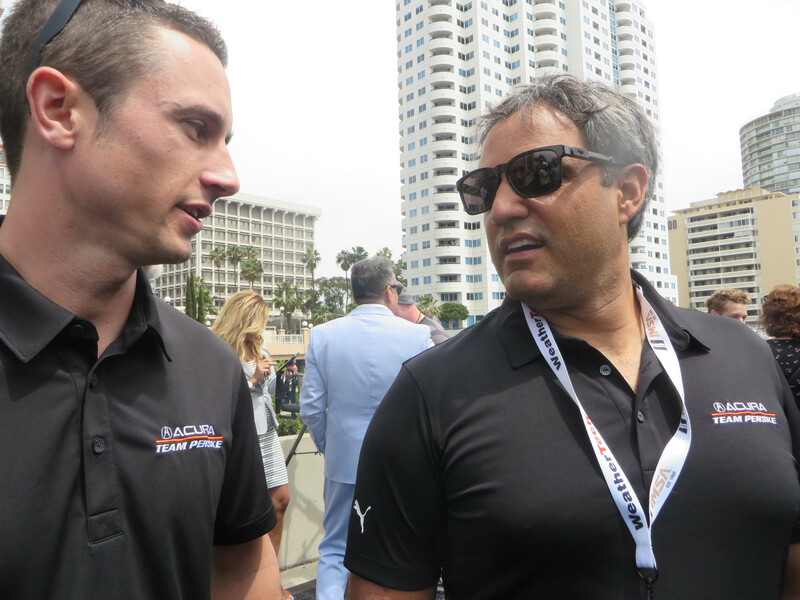 Felipe Albuquerque/No.5 Mustang Sampling Racing Cadillac won the BUBBA burger Sports Car Grand Prix at Long Beach race Saturday afternoon. 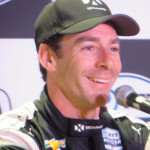 His co-driver is Joao Barbosa. They ran the 73-lap race. 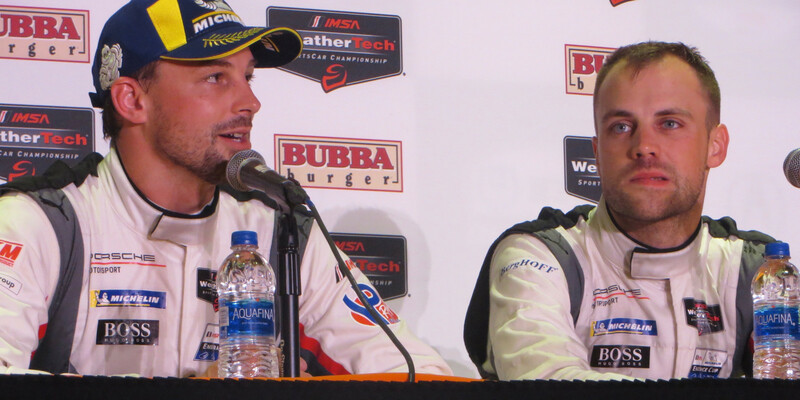 The duo won last year’s race at Long Beach, and this is their first victory since that. 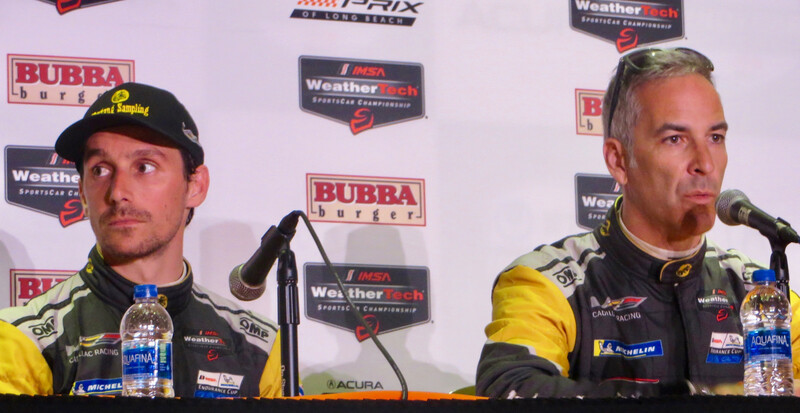 Second and third in class were the two Acura Team Penske Acuras, with pole sitters Ricky Taylor/No.7 and co-driver Helio Castroneves as runners-up, and Dane Cameron/No.6 and co-driver Juan Pablo Montoya coming in third.. There were eleven DP1 cars, and six finished on the lead laps. Nine of the 11 finished, with two out early on due to accidents. No one was hurt. Winning the GTLM class was Earl Bamber/No.912 Porsche GT Team Porsche 911 RSR with co-driver Laurens Vanthoor. Second and third were Corvette Racing Chevrolet Corvette C7.R teammates Jan Magnussen/No.3 with co-driver Antonio Garcia and No.4. Tommy Milner and Oliver Gavin. There were eight cars, with the three podium cars finishing on the lead lap, one lap down from the overall winners. One GTLM car retired on the last GTLM lap due to an accident on the white flag lap. Dirk Mueller/No.66 Ford Chip Ganassi Racing Ford GT was hit by a Corvette and hit the wall. Mueller’s co-driver was Sebastien Bourdais, loaned from the IndyCar Series to fill in for ailing Joey Hand. In the Pirelli GT America Series, Spencer Pumpelly/No.66 TRG Porsche 718 Cayman CS MR has the pole position with a lap of 1:25.916/132.75 kph. Second and third were Team Panoz Avezzano GT4 drivers Ian James/No.50 and Matt Keegan. All drivers are from North America – 19 American men and one Canadian female. Several of the drivers are also running in the Historic IMSA GTO Race. This entry was posted in IMSA, IndyCar, Motor Sports, Super Stadium Trucks, World Challenge by Lynne Huntting. Bookmark the permalink.